February 2, 2019 - While US coal producers are hesitant to invest in new capacity at the moment, several industry professionals said at a recent energy event that they do not foresee widespread consolidation any time soon. Michael Bauersachs, president and CEO of Ramaco Resources, said that in a "difficult environment" in which the sector's share prices are undervalued and investors are unwilling to take on debt, substantial mergers and acquisitions are unlikely. "Now should it happen is a different question," he said during a panel Thursday at the 19th Coaltrans USA conference in Miami. "In particular on the steam side, I think you could make the case that substantial consolidation makes a lot of sense. It makes a lot of sense in the Powder River Basin because nobody is making any money at all there." Clarksons Platou Securities analyst Jeremy Sussman said boards are "uber sensitive to take on risk," something he doesn't foresee changing in 2019. Many investors were creditors who inherited their positions from coal bankruptcies, he said, and are not looking for growth at this point. Banks also are hesitant to invest in capacity. 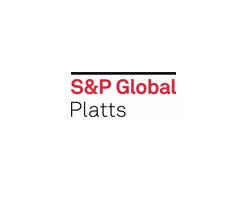 While many banks refuse to fund thermal coal projects, "the vast majority will at least be willing to take a look at met coal," Sussman told S&P Global Market Intelligence in an interview. "Compared to where it was when I began my career in 2006, it's still a small fraction of what banks were willing to give out back then," Sussman said. "Access to capital as a whole is still very, very tight." Bauersachs said securing financing is more difficult now than at any other time in his three decades in the industry. "This is a totally different type of atmosphere than I have seen. We've even seen private equity kind of stand to the side and not do much," he said. "I think with some of the environmental concerns, which obviously most of us in this room don't agree with, but with large US banks I mean it's virtually impossible to do any business with them." Matt Schicke, chief commercial officer of Corsa Coal, said companies are not investing much money in their capital base, largely because of the "challenging times" the sector has faced the last three or four years. The lack of investment could yield subsequent rounds of consolidation and restructurings, he said. "It can create a real challenge if there's a market downturn," Schicke said. Another Ramaco Resources executive projects the sector will not look toward consolidation for about two more years as it waits for the markets to settle down. Until those investors who lost big in the last downturn get their money back, "you're really not going to see too much new money come back into the space," CFO and director Randall Atkins said. "The way I look at the market today is you have a whole lot of institutional investors, a whole lot of banks that lost a whole lot of money," Atkins said. Jonathan Rose, head of the metals and mining Americas division at Deutsche Bank Securities, said recent mergers and acquisitions were "more situation-specific" and subsequent movements in the sector will be "relatively slow." Further consolidation or acquisitions will likely occur because of specific opportunities rather than a wave across the industry, he said. Consolidation is inevitable, Sussman said, because without investment in new capacity, supply growth will be "extremely limited." He projects metallurgical coal pricing will remain well above the cost of marginal production for the foreseeable future, while thermal coal demand will continue to decline domestically. "It's a waiting game," he said. "It's about keeping a lean balance sheet and just hunkering down and generating cash and in most cases trying to return that cash to shareholders."